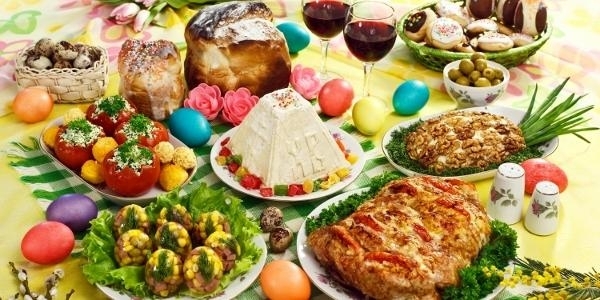 Anyway – to make Easter satisfying for everyone my family came up with ideas for dishes that will combine our traditional Polish taste with little bit of Far East flavor. Maybe some of that will help you and your partner to adapt more to culture and taste differences between West and East. 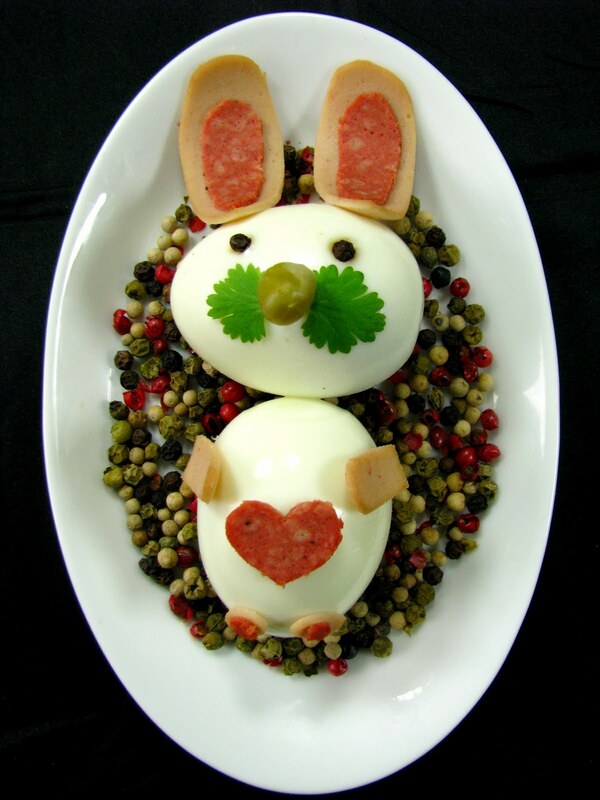 Check out the list of my family’s classic Easter dishes and see how we modified that for my husband’s pleasure. Bigos – I already wrote about it last September (click click). Good for any occasion and doesn’t need to be modified because honestly, once you eat it you cannot like it. Although my mom thought about adding shiitake mushrooms instead of the one you can find in Polish forest during Autumn. Taste is really similar. Kielbasa – white sausage. This one is classic and should not be modified. There’s one thing Poland makes the best and it’s sausage/meat. We’re so good in it we are called ‘The Land of Kielbasa‘ (you can Google that). Even my husband and MIL love it and when she likes something it has to be good. Try to argue with her about the food and she will constantly talk for 6h. With spicy horseradish it should satisfy any fan of spicy food. A friend of mine suggested giving wasabi instead of horseradish but somehow in my mind it just doesn’t match. If you try it, let me know! Sour rye – soup made of soured rye flour and meat that everyone in our family loves, often served with fresh bread on a side. But since European bread is much different from Asian or American one it used to hurt my husband’s gums and he couldn’t enjoy the meal so instead of giving a fresh bread we buy a special bread shaped like a bowl so the soup will melt the bread a bit and it won’t be so hard for him. I must say I love it too! Boiled eggs – I don’t know why but Sing is obsessed about eggs ‘don’t give me too many or I will die’. No, he’s not allergic, he’s just making things up. Normal boiled egg for him in his mind will bring him a heart attack and he won’t eat more than two. In Poland you have an egg fight, then you have to eat your eggs and to solve the problem of ‘egg-death’ we make few eggs as tea leaf egg and the lovely brown shell of the egg is perfect place to paint or craft. And no – tea leaf eggs somehow in his mind are more healthy and acceptable. Chicken or pork jelly – salty jelly made of meat, carrot, slice of egg, green beans and spices. It’s just delicious, quite popular in other countries like Romania, Hungary, Slovakia, Greece. My family always serves it with white vinegar but special for my husband we got 镇江香醋 – Zhenjiang Vinegar. For me it’s like a sin, adding rice vinegar instead of white, distilled one since the taste is different but for him it made the dish ‘tastier’. Plus if you make gelatin out of chicken feet you can serve them as a side dish! Cakes, cakes and more cakes. Poppy seed cake, mazurek, cheesecake, babka (spongy, brioche-like yeastcake), apple pie and many more. We just cannot spend Easter or Christmas without a dessert. OK, I cannot spend a day without a dessert. Let’s face it – I have a sweet tooth and I just love little bit of sweetness in my life. As for Sing if anyone of you can make up a onion-garlic-salty-spicy cake, please give me the recipe. I have no clue how I could marry someone reacting on cake like a little baby reacts on injection. 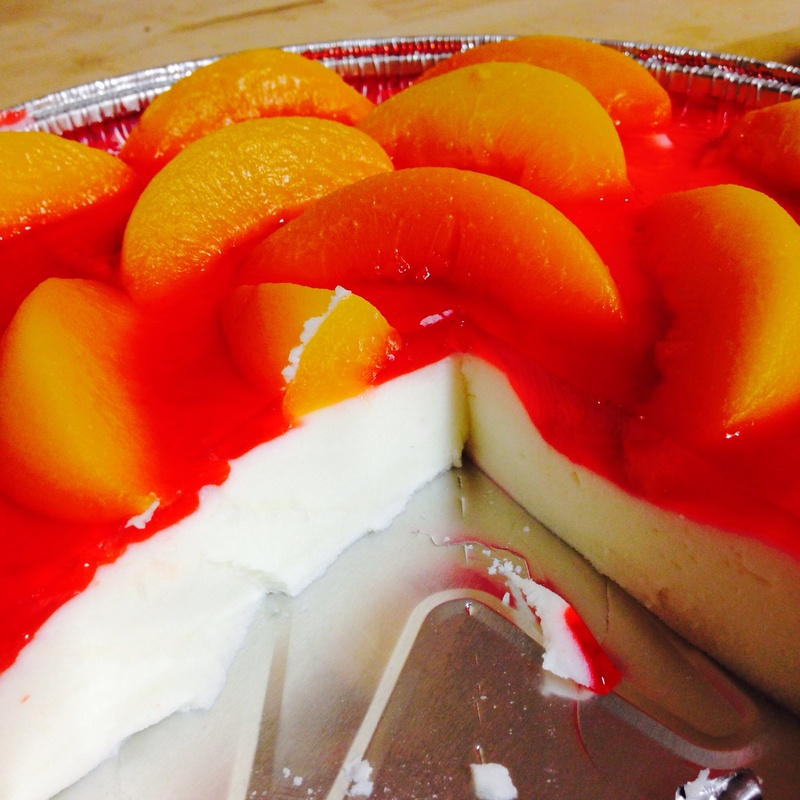 This way we thought about making less sweet, cold cheesecake based on milk with raspberry jelly and fruits. Refreshing and perfect for anyone who doesn’t like too sweet desserts. That’s the ultimate favorite because it contains everything Sing loves – fish and onion. Herring in oil and onion spiced with salt and pepper goes perfect with veggie salad. Whenever my husband eats it my dad laughs he’s eating ‘Polish sushi‘ since the fish is served raw but that would make it more like a sashimi. So if your partner likes sashimi you should definitely let him try this dish! Besides that there’s always famous Polish duck or other bird, pork, any meat on the side for main meal. Not all of this is acceptable for me since I like the original taste more but it makes my husband happy and more involved in celebration which is nice. It makes our family closer. Is there any traditional dish you would never give up? Have you done something similar to anyone? How did it end? 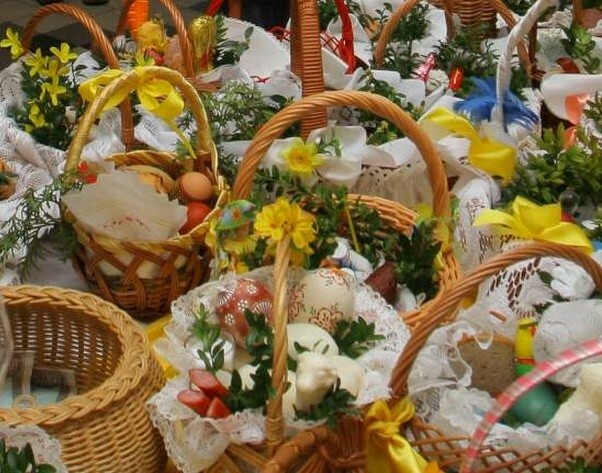 Share your stories and traditions from your hometown 🙂 Happy Easter everyone! Happy Easter, Lina! I loved reading about your Easter traditions!! The type of food you talked about sounds delicious!! However, I am with Sing about the hard-boiled eggs – they are not really my cup of tea either! Your ideas for combining Chinese and Polish eating customs are really creative! My husband just made Italian style 花卷 (huajuan, steamed scallion buns) yesterday, but those were easy – he just added oregano instead of the scallions (didn’t have any olive oil left, or otherwise he could have added some too). It was very tasty and I think it would have exactly tasted like bread if we had baked it instead of steamed it. Happy Easter! The food looks really delicious!! These are pretty and beautiful decorations. Is Easter practiced in Hong Kong? I think it all sounds lovely! I wanted to hear more about the egg fight! Our traditions are simple. We color Easter eggs, then the Easter Bunny hides them for the kids all over our yard. Then they come inside and search for the basket of candy he’s hidden, too. 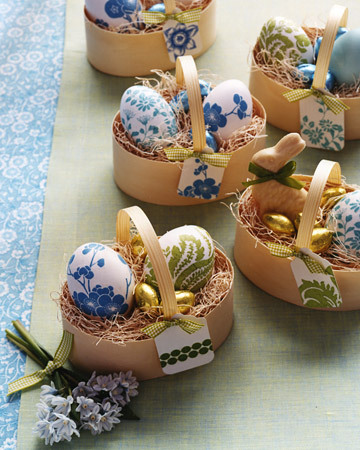 Later, we go to a big Easter dinner (ham, deviled eggs, potatoes and green beans) with family. Your post has me wishing I was home for Easter! My nana would always come over with her basket of blessed breakfast treats for us on her Easter (always loved celebrating all holidays twice!). Kielbasa was definitely a favourite and I absolutely love paska! That basket was better than any chocolate Easter bunny I could have received! 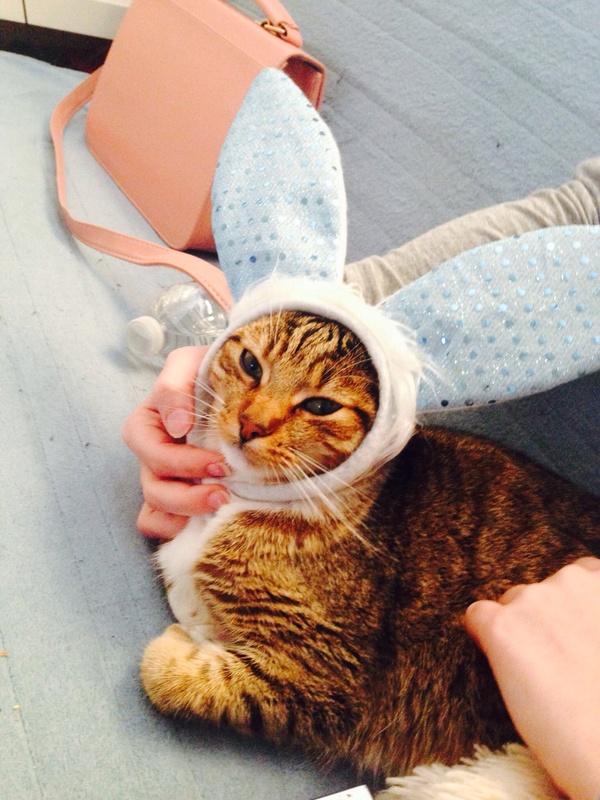 Loved the picture of the cat with bunny ears! My cat would never sit still enough for that. Happy Easter to you and your family. Had herring and wodka with my Polish (HK) neighbour and his friends – then down to the beach! Happy Easter. I love this combination of East and West! Great post! Salted Jelly… hmmm, I’ve never tasted any of them. It seems a bit extreme for me. I also do not eat jellied blood. My friend thinks it is funny that I think these jellies are extreme since I eat pig brain. LOL! Wow!! 都看起来好吃！I’m jealous, my cooking is still limited to stir fry and sandwiches. If your husband is Shanghainese, have you ever tried making 番茄炒鸡蛋？(tomato and scrambled egg). It’s very simple and great comfort food when you’re sick. My girlfriend would make all the time when I lived in Shanghai. 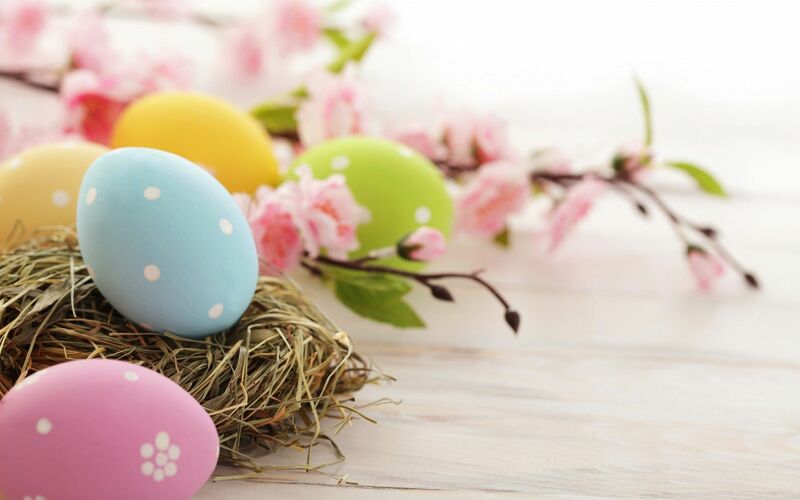 Feel better and Happy Easter! i think i would enjoy sour rye soup. as i enjoy european breads and especially sour dough kinda breads.